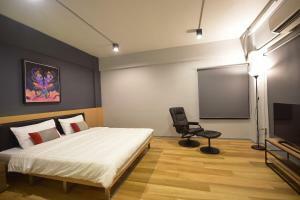 MBK Shopping Mall is 2.3 km from The Chatbox Silom Hostel, while Bangkok Art & Culture Centre is 2.6 km from the property. Don Mueang International Airport is 23 km away. Please note that extra beds can only be accommodated in King Room. 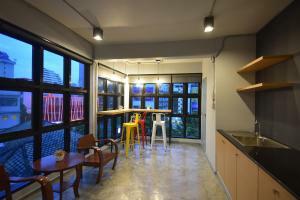 Please inform The Chatbox Silom Hostel in advance of your expected arrival time. You can use the Special Requests box when booking, or contact the property directly with the contact details provided in your confirmation. Guests are required to show a photo identification and credit card upon check-in. Please note that all Special Requests are subject to availability and additional charges may apply. 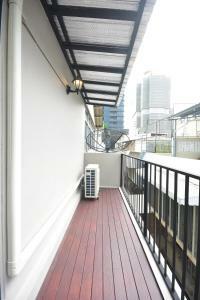 Secured by an electric key card access, this non-smoking king room has a balcony, a seating area and air conditioning. 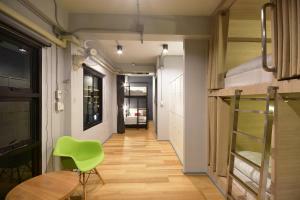 A cable TV, bed linen and towels are provided. 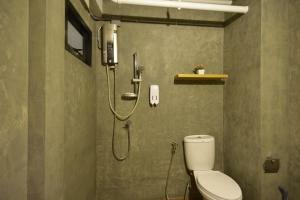 The two shared bathrooms offer a hot shower, shower amenities and a hairdryer. Guests have access to the shoes locker. Secured by an electric key card access, this non-smoking bed in dormitory has a balcony, a seating area and air conditioning. 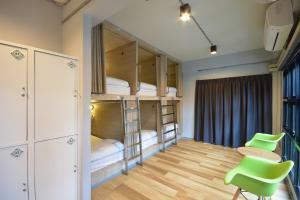 Each bed comes with a personal reading light and a power socket. Bed linen, towels and a fan are provided. 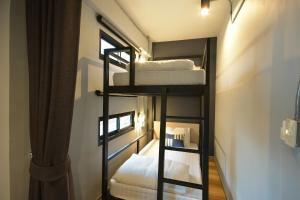 The two shared bathrooms offer a hot shower, shower amenities and a hairdryer. Guests have access to a personal locker for their privacy. Rate: THB 350.00 ... THB 1980.00; select dates below to get current rates. Secured by an electric key card access, this non-smoking bed in dormitory has a balcony, a seating area and air conditioning. 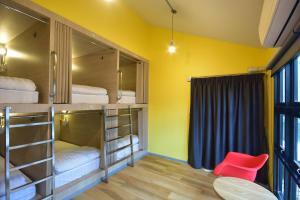 Each bed comes with a personal reading light and a power socket. Bed linen, towels and a fan are provided. 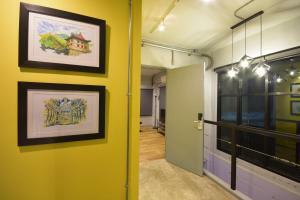 The shared bathroom offers a hot shower, shower amenities and a hairdryer. 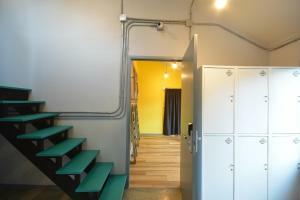 Guests have access to a personal locker for their privacy.